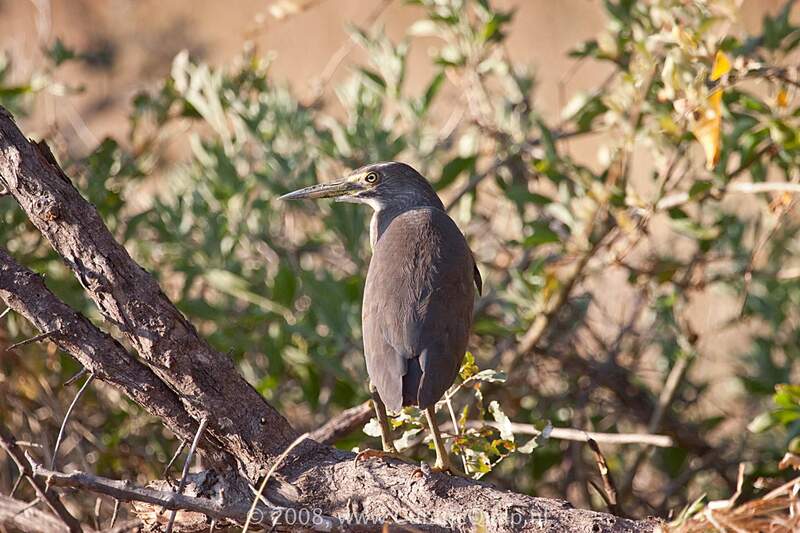 A small heron with a sooty black head, breast and back and a rufous belly, wings and tail. In flight, the bright yellow legs and feet contrast strongly with the dark underparts. Female is duller than male. 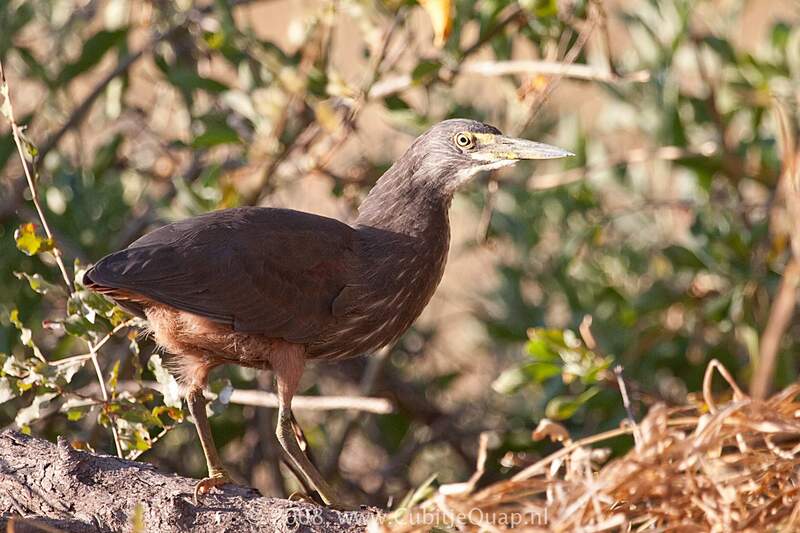 Juvenile and immature have dull brown (not blackish) upperparts, becoming darker with age. Seasonal wetlands with sedges or grasses. Easily overlooked and often seen only when put to flight.